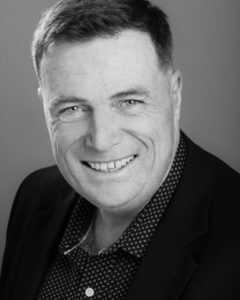 Michael has worked as an actor and director for Capital Stage since its early days as a professional theatre company. He directed the smash hits How To Use A Knife and Ideation, and played the role of Stiva in Anna Karenina in October of 2014. Other directing credits include: Mr. Burns, A Post Electric Play, Clybourne Park, Mauritius, Erratica, and Les Liaisons Dangereuses at Capital Stage. Directing credits elsewhere include: The Castle of Otranto, Orlando Shakespeare Theatre; Wittenberg and The Odd Couple, Perseverance Theatre; The Grapes Of Wrath, Pride & Prejudice, Of Mice And Men and Noises Off, Sacramento Theatre Company; Becky’s New Car, Boom, Boston Marriage, Jack & Jill, Junie B. Jones Jingle Bells Batman Smells, and The Last 5 Years, B Street Theatre. 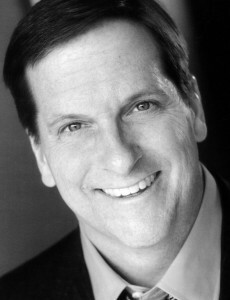 He has taught at CSU Sacramento and served as co-director of the B Street Theatre Conservatory. Originally from Chicago, Michael received his M.F.A. from American Conservatory Theatre where he met his wife, actress and teacher Jamie Jones. Artistic Director of the Delta King Theatre for six years before founding the nonprofit Capital Stage Company produced over 50 plays and musicals. In 2002, industry trade publication BackStage West called Stephanie “the Hardest Working Woman in Show Business.” In 2004, she initiated the first new Actor’s Equity Association contract with a Sacramento area theatre in nearly 15 years. 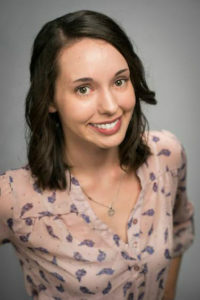 After receiving her Bachelor of Arts in Theatre and Government at CSU Sacramento, Stephanie worked for several years in educational theatre outreach programs for the State of California, California Musical Theatre, and Sacramento Theatre Company. As an actor, she has performed in over 50 productions for various theatre companies, primarily in the Sacramento and Bay Areas, including the Sacramento Theatre Company, B Street Theatre, River Stage, Sacramento Shakespeare Festival, Theatre on San Pedro Square in San Jose, Marin Shakespeare Company, and the Aurora Theatre in Berkeley. She is a member of Actor’s Equity Assocation and Screen Actor’s Guild. As a co-founder of Capital Stage, Jonathan Williams has helped forge the vision and mission of the company over the past nine seasons. He has directed numerous productions including Blackberry Winter, Uncanny Valley, The Elaborate Entrance of Chad Deity, Dying City, Master Class, Hunter Gatherers, Dirty Story, Boy Gets Girl and The Shape of Things. He has also designed over 40 productions, including August: Osage County, Blackberry Winter, Macbeth, Clybourne Park, The North Plan, The Mountaintop, Mistakes Were Made, How I Learned To Drive, and Superior Donuts. Other design credits include Little Shop of Horrors and Macbeth for Benvenuti Performing Arts Center, Rimers of Eldrich for Folsom Lake College, and Italian American Reconciliation and Entertaining Mr. Sloan for the B Street Theatre. Jonathan has worked extensively with theatres throughout the Bay Area. As a co-founding member of Synergy Stage, he produced over a dozen plays in Sacramento since the fall of 1999, including a number aboard the Delta King. He worked for over 10 years for the not-for-profit Sutter Medical Center. He worked for a sports marketing company in Chicago, including on-site event management support for a number of charity events involving high-profile Fortune 500 companies and professional athletes. Peter completed a successful season-long internship with the Seattle Repertory Theatre in Arts Management. Locally, Peter has worked with Sacramento Theatre Company, Foothill Theatre Company, Lake Tahoe Shakespeare Festival, Sierra Shakespeare Festival, Sacramento Shakespeare Festival, River Stage, City Theatre, Thistle Dew Dessert Theatre, Garbeau’s Dinner Theatre and The Show Below. Peter received his Masters of Fine Arts from the Theatre School at DePaul University. Keith Riedell brings to Capital Stage his varied experiences in the theatre, management, team building, counseling, training and corporate improvement. During his 13-year tenure with the Conejo Players in Thousand Oaks, California, he assumed many roles. Artistically, he won critical acclaim for his direction of Sondheim’s Sweeney Todd; Evita; The House of Blue Leaves; Anything Goes! ; P.S. Your Cat Is Dead! ; and The Elephant Man. He was instrumental in efforts resulting in the introduction of live music, expanded programming, newsletter development, and broadening theatre participation. He developed the first comprehensive guidebook for producers of plays and musicals at the Conejo Players, documenting the processes used to mount mainstage and afternoon theatre productions. In Tucson, Arizona, he worked with the One-In-Ten Theatre Company co-directing 17 DAYS. Onstage, he has been seen in dozens of roles ranging from Touchstone to Bert Healy, the blanket-carrying Linus to the revolutionary Perchick. Keith was an early member of the Moorpark Melodrama and Vaudeville Company. 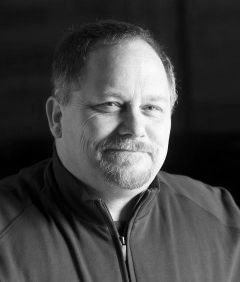 Prior to coming to Capital Stage Keith served as Managing Director of River Stage. Keith received his Master’s Degree in counseling in 1998 and is a nationally certified mental health counselor. In 2004, Keith was certified as a Six Sigma process improvement black-belt, focusing on the application of process improvement techniques on business processes. As an organizational development expert, Keith has successfully led major efforts to build organizational capacity and designed workshops for groups in team building, appreciative inquiry, workplace diversity/inclusion, and LGBT workplace issues. Keith has led organizations and community leaders through corporate change efforts including providing accommodations for people with disabilities to establishing the future direction of HIV/AIDS care and services in Southern Arizona. He is always thrilled to find opportunities to combine his talents for helping organizations grow with his lifelong passion for the theatre. Katie is thrilled to be joining the Capital Stage staff full time as Production Manager after working as a Stage Manager for them for the past several seasons. Favorite CapStage shows include Guards At The Taj, August: Osage County and Anna Karenina, among others. 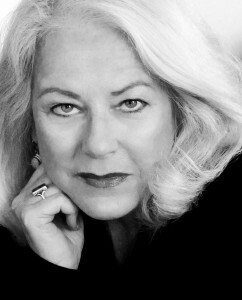 She has stage managed for California Musical Theatre at Music Circus for 16 seasons and The Cosmopolitan Cabaret for 6. Additional credits include the Sacramento Opera, Sacramento Theatre Company, and in the greater Los Angeles area, Musical Theatre West and Main Street Theatre. Sarah has grown up in and around theatre in Sacramento. It is her first love and very near and dear to her heart. She has been on stage with STC, LAMDA Players, and Shakespeare in the Park. Sarah joined the Capital Stage family in 2012 as a Box Office Assistant, and is now the Box Office Manager. Sarah is also a costume designer and seamstress and helped with the costume design for Rapture, Blister, Burn and The Homecoming at Capital Stage. Sarah believes that costume design is a vital art. It is not illustration or embellishment, but a means for the communication of ideas. Successful design takes the story, characters, and historical facts, and translates them through an emotional and artistic lens. Sarah is happy to be bringing bold, intimate, live theatre to Sacramento with Capital Stage. Misty is an actor, director, scenic artist and marketer who has been with Capital Stage since 2012. Originally from Silicon Valley, Misty moved to Sacramento after graduating with her MFA in Motion Pictures & Television from the Academy of Art University in San Francisco. Once she witnessed the mission and quality of Capital Stage’s work, she had to get involved. She began as a box office assistant, then completed the Capital Stage Apprentice Program and became a Marketing Assistant. Proudly she is now Capital Stage’s Marketing Manager. As an actor you have seen her in Capital Stage’s productions of Anna Karenina, Macbeth, Three Lunatics Discussing Philosophy, and Playwrights’ Revolution 2013 and 2014. Other credits include Twelfth Night, The Imaginary Invalid, Much Ado About Nothing, As You Like It and Into the Woods with Murphys Creek Theatre; Voice of the Prairie with City Lights of San Jose; and Henry V with Davis Shakespeare Ensemble. 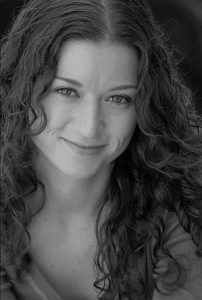 Misty is also a graduate of the Foothill Theatre Conservatory in Los Altos Hills, The Meisner Technique Studio in San Francisco, and she received her BA in Theatre Arts from San Francisco State University. 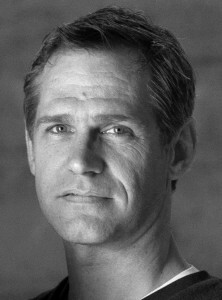 Stephen Mason is both an actor and a playwright. As an actor he has appeared at City Theatre, Sacramento Theatre Company, Sacramento Shakespeare Festival, Garbeau’s Dinner Theatre and Stagedoor Comedy Playhouse. Some of his favorite roles include, Malvolio in Twelfth Night, Dogberry in Much Ado About Nothing, and Mr. Chisholm in The Petrified Forest. He has written for “The Local Playwright’s Festival” and “The Twenty Nine and a Half Hour Playwrighting Festival” both for City Theatre. For Sacramento’s annual Gold Rush Days Stephen wrote a piece about Lola Montez and the riots she caused after performing her scandalous Spider Dance in Sacramento’s early days of miners and mayhem. He is currently putting the finishing touches on his latest play, Characters! which he hopes will garner many Tony awards in the near future. Jessica is a proud Capital Stage Apprentice Alumna. You have seen her on stage in The Wolves, August: Osage County, and the Apprentice Showcase called Paint It!. Other favorite productions have been Darkside, Impromptu, and Bus Stop at Sacramento State University where she received her BA in Theatre Arts.